When the conversation turned to driverless cars at a recent National Instruments conference I attended in Austin, Texas, a speaker on stage abruptly quipped: “I’m never calling them that anymore. They are ‘carbots’.” He was right, of course. Call the newest types of robots what you want, but it’s clear that intelligent machines are ever-more ubiquitous at home, at work and everywhere in between. The more we program them to do, the less human interaction there is. After all, that’s the premise behind a lot of what autonomous systems are supposed to offer, isn’t it? How these innovations transform the workplace is a topic we’ve hit on before. Some economists suggest that robots are not taking human jobs away. They insist, instead, that automation is enhancing our access to goods and services at lower prices. In our pockets, for example, sit supercomputers that automate voluminous amounts of activity that humans previously lacked the time or inclination to perform, says John Tammy an economics fellow and contributor to Forbes magazine. Automation and robotics signal a tremendous spur in human productivity ahead, he said. Predicting what those human jobs will be is the billion dollar question, but those who can see what is presently opaque will reap the fruits of their clairvoyance. Of course, there is a counterargument, one that is dark and even dystopian. “As soon as you can get a robot for $5,000 instead of $100,000, as soon as you can get AI with better voice recognition, as soon as you can get full contextual AI that can anticipate and answer questions without human intervention—that’s going to throw the labor markets into a tizzy,” said Jeffrey A. Joerres, the former CEO of ManpowerGroup, a multinational human resources consulting firm. 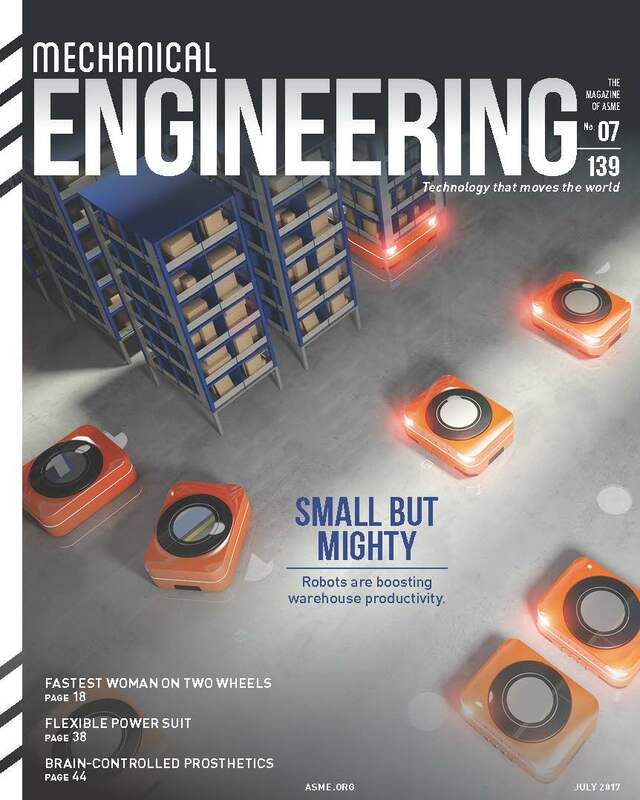 Brown’s isn’t the only robotics article in this issue. Tom Gibson takes us on a tour of how an engineer at Harvard uses soft robotics to create a powered exosuit that’s being tested by the U.S. Army; and Kayte Sukel tells us about a brain-machine interface that is helping those who are paralyzed navigate the world. There are other robot stories as well in this special issue. But you don’t have to call them robots—call them what you want. Just know that they’re on their way.